Publisher: Decipher, 1987 ~ (2P, 8+) ~ Find It! 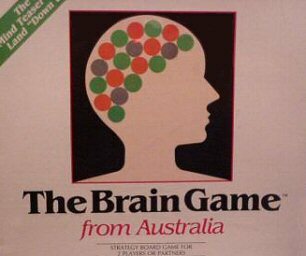 The object of the game is to get four pieces in a row or four pieces in a square. Your opponent will try to block your every move, but your own inability to see everything that goes on on the board can be a bigger threat than your opponent. The game is played on a game board with orange and green circles which seem to run into one anothermistakes are common.